Yesterday I went to the Georgia Department of Community Affairs (DCA) for a meeting of the State Codes Advisory Committee (SCAC). Wait, wait, don't leave yet! I promise there's good stuff in here. Yesterday I saw a bunch of guys sitting around a table make a groundbreaking decision that will alter the lives of home builders, energy raters, and utility customers. Yes, I'm talking about the great work done by the Georgia 2009 International Energy Conservation Code (IECC) Task Force over the past year. The SCAC received the Task Force's report and considered it at their meeting today. The tension was high in the room. Attendees glanced around nervously, keeping an eye out for last minute subterfuge. Groups of like-minded stakeholders gathered together for protection against enemy stakeholders, expecting at any moment to have to fend off the long-dreaded attacks on their hard-fought victories in the Task Force's report. Actually, it wasn't like that at all. The room was full, the SCAC members and DCA staff sitting around the large table and interested parties like myself sitting around the edges of the room. Those of us who support the progressive changes I'll describe below did have some concern that debate could erupt during discussion of the report, but it turns out those fears were unfounded. Jim Vaseff, chair of the 2009 IECC Task Force, presented the results of their work. Morgan Wheeler, chair of the SCAC, asked if there was any discussion, and there was none. The motion to adopt got a second and a unanimous voice vote. Hooray! The new Georgia state energy code passed (download at bottom). There will be a public hearing in September and final approval in November, but everyone seems to think it's a done deal now. The new Georgia energy code goes into effect 1 January 2011. Now, let's get to the details. I won't go into the full 2009 IECC here, just the most interesting of the Georgia supplements and amendments relating to the residential energy code. I first broke the news of the requirement for all new houses to pass a Blower Door test back in early May. As I stated there, the 2009 IECC provides two paths for compliance with air-sealing requirements: a visual inspection and a pressure test. Georgia decided that the visual inspection was inadequate and went only with the Blower Door test. According to Paul Karrer of the Building Codes Assistance Project (BCAP), "That was an extremely interesting (and as far as I’ve seen, unique) addition to the state’s new energy codes." Task force member Mike Barcik deserves a lot of credit for getting the Blower Door test required. So, how will this work? Starting on 1 January 2011, all new homes permitted for construction will have to get a Blower Door test for infiltration. The result must be less than 7 50)" target="_self">air changes per hour at 50 Pascals (ACH50). This level of airtightness is a good starting point. It's not that hard to achieve, so every builder can do it, but I expect to see that number come down in future versions of the Georgia energy code. The 2009 IECC requires all ducts outside the building envelope (in unconditioned spaces) to be tested for leakage. The Georgia energy code requires that the duct leakage outside the envelope be less than 8 cubic feet per minute per 100 square feet of conditioned floor area if tested after construction, 6 cfm/100 ft2 if tested after rough-in. Also, as I read the Georgia Supplements & Amendments document, mastic is required. HVAC contractors can use code approved tape, but they still have to put mastic over it. I mentioned in my first article on the new Georgia energy code that power attic ventilators will not be allowed. The actual language doesn't say a builder can't install them; they just can't connect them to the electric grid. One exception is specifically called out - solar powered attic ventilators. The building science still doesn't support these devices, but we're after progress, not perfection here. Finally, builders will have to install high efficiency lights for at least 50% of a home's lighting. Alternatively, they could install occupancy or vacancy sensors or an automated control system. The new Georgia state energy code is definitely breaking new ground. The 2009 IECC gave us a good start, but Georgia took another step or two forward, and anyone who buys a new home built under this code will benefit. Allison, who is educating all the builders on how to install/build all of this correctly? Is there some kind of energy consulting for the home builders? For instance, in 2007 I purchased a townhome from Pulte, and every single light was an incandescent. If they would have asked me, I would have gladly paid a little more for CFLs. Who helps homebuilders make these decisions? Nice recap. Should be interesting to see how much compliance we get in the field. Chris, education is crucial, and mostly the building officials educate the builders. Southface has done a lot of energy code training in past cycles, and I expect they'll continue to do that. I'm also going to get involved on that front, so if you know any building departments looking for energy code training, send 'em my way. Carl, I'm sure compliance will vary a lot by jurisdiction, but overall I think compliance is getting better. The big question is, can we get to the 90% compliance required of any state that took ARRA (stimulus) money? Regarding the 90% compliance, someone at the SCAC meeting yesterday announce that Georgia is going to be in a pilot study to get a baseline for this. Training of evaluators starts in September. That's great news for everyone! I wonder when/if NC will follow. I hope GA is setting a new precedence for all other states. Building Codes Assistance Project They have a great, color-coded map showing at a glance what energy code, if any, each state is based on. Click on your state and get more details. US DOE's Building Energy Codes Program Click on your state to find the details. Both of these sources are a little behind because the code adoption process keeps moving. You can find contact info for the people who can help you on these websites, so give them a call. BCAP-OCEAN has a weekly email update you can sign up for as well to get the latest info. Way to go Georgia - just one small issue... BPI doesn't teach Duct Testing in Building Analyst & only use a Pressure pan for Building Envelope & Shell certs. 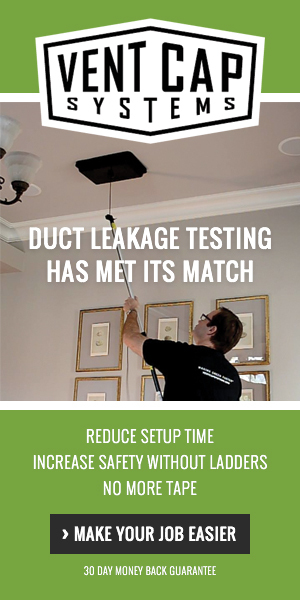 The only group tested using a "Duct Blaster" is the HVAC certified ones. Sean, you raise a good point. I don't think the task force worried too much about BPI not teaching the Duct Blaster. I think they figured if someone has gone through the training and learned the building science, they can figure out how to do a Duct Blaster test, too. I'll ask Mike for his take on that. Wow, wow, wow! I am so impressed by the blower door test requirement. So many homes have extremely poor performance energy management-wise merely because sealing and caulking wasn't done. This is a big win for homeowners. I think the next step is to help educate/empower homeowners so that they begin asking their builders for documentation on the test results. Robin, the next step that you anticipate has already been included, but I neglected to report it. Each home must have a certificate placed on or near the electrical panel that gives basic info about the home's energy characteristics, including the duct & envelope tightness test results. You'll find it on page 6 of the Georgia supplements & amendments, which you can download above. Are there enough blower doors and duct blasters to go around? Does every DET need to buy them? Good question, Evan. If this requirement had come in four years ago and you'd asked me that question, I'd have said no. Since then, though, the new construction market is vastly reduced, and a lot more people in the state have the equipment. It still could be a problem in some of the more rural parts of the state, but I think it'll work out OK.